Between a nomad's tent and the Sears Tower lies a revolution in technology, materials, and structures. 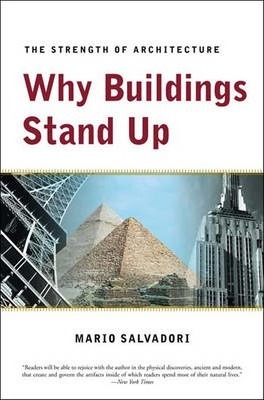 Here is a clear and enthusiastic introduction to buildings methods from ancient times to the present day, including recent advances in science and technology that have had important effects on the planning and construction of buildings: improved materials (steel, concrete, plastics), progress in antiseismic designs, and the revolutionary changes in both architectural and structural design made possible by the computer. [A] delightful book.... Descriptions of structural milestones, such as the Pyramids, Hagia Sophia, Brunelleschi's Duomo, and the Eiffel Tower, as well as the more familiar examples of Gothic cathedrals, suspension bridges, and skyscrapers, are interspersed with information on basic structural theory.... The author sheds light on some of the problems of contemporary aesthetics. With its photos, drawings, and a readable style, this book will serve both the general reader and the specialist. "